None strikes the note of cosmic horror as well as Clark Ashton Smith. In sheer daemonic strangeness and fertility of conception, Smith is perhaps unexcelled by any other writer, living or dead. So wrote another great writer of cosmic horror, H.P. Lovecraft. Even given the Old Gent’s tendency toward hyperbole when extolling the virtues of his colleagues, I find it hard to disagree, particularly on this, the 122nd anniversary of Smith’s birth in Long Valley, California. Of the “Big Three” – Lovecraft, Howard, and Smith – who wrote for Weird Tales during the 1920s and 1930s, CAS is the only one to have lived long enough to have died of old age and yet he’s also probably the least understood and celebrated. That’s a great pity, not just because he’s probably my favorite of that glorious triumvirate, but also because his works are quite unlike any other fantasy or science fiction writer before or since. Jack Vance probably comes the closest to conjuring up the shade of Smith, but there are lots of subtle differences between the two authors that make such a comparison facile. For one, Smith considered himself primarily a poet rather than a writer of fiction. Even his most straightforward prose pieces possess a poetic character to them that transcends his florid vocabulary and indulgence in archaisms. There’s an incantatory rhythm to his writing that demands it be read aloud; I frequently find myself doing just that when I read a Smith story. It’s a very strange and powerful thing. Rarely have I encountered a writer whose written words so cried out to be spoken (intoned?). When you do so, the experience is like few others in literature. Smith’s writing is luxurious and appeals to all his reader’s senses, including the mind’s eye – that part of the imagination that doesn’t just conceive of people and things and places that have never existed but that strains at the edges of infinity. I find myself at a loss to describe precisely what I mean, but then that’s part of my point. Smith’s work often gives voice to the ineffable in ways that are both exhilarating and terrifying. Few others writers I have encountered can do that. I make no secret of the fact CAS is my personal favorite of the Big Three of Weird Tales and the one whose works I most wish I could emulate. Though I strive mightily against it, I fear that my own writings evince a style more in keeping with the antiquarian Lovecraft than with the otherworldly poetry of the Bard of Auburn, though not for lack of trying. Smith’s genius is elusive and not easily reproduced. Anyway, the brilliance of Smith’s writings come through not so much in his characters, plots, or locations but in the moods he evokes. Smith’s tales focused more often than not on decadence and decline, ennui, and the inevitability and pain of loss – all shot through with a sardonic humor that somehow manages to avoid either the bleakness of Lovecraft or the brutality of Howard. CAS, therefore, comes across to me as the most “human” of the Big Three, the one whose thought processes and obsessions I can most relate to. Despite that, his genius remains mysterious and not easily imitated without descending into parody, which is probably why he remains less well known than a writer of his talent ought to be. Yet, Smith’s shadow lingers. 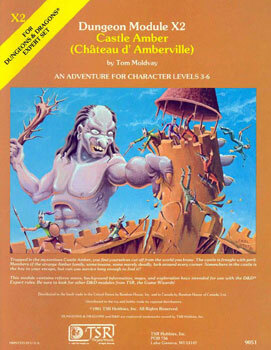 Monster-haunted Averoigne is a spiritual ancestor of many a fantasy setting: its dark woods home to demons that civilized man believes himself to have banished forever. Hyperborea offers a darkly humorous example to every referee who ever wanted to see player characters reap fitting rewards for their venality. Decaying Zothique reminds us that there are fates worse worse than the death of the sun. Xiccarph, Poseidonis, Polaris and others — they all reveal aspects of the Smith’s multifaceted brilliance and, sampled like fine wines, each broadens the palette of the mind. That’s good training for any roleplayer – or reader – not merely those with romantic, ennuied spirits. 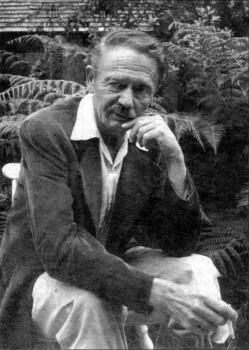 Therefore, I encourage anyone who’s never had the chance to sample Clark Ashton Smith to do so today in honor of his birthday. Been running this under 5e for my family. It’s been a great time. It’s good that Lovecraft has gained belated recognition as a major American writer, and Howard of course is still the 800 pound gorilla of sword and sorcery, as influential in the genre as ever, but I agree with your discriminating taste, James, – Smith is my favorite of the three. (I believe Michael Moorcock also preferred him. Nice that he has the sense to agree with us!) All that you said is true; additionally, he has something that the other two musketeers largely lack – wit and (an admittedly very dark and gruesome) humor. He was aware of his very excessiveness and made sport with it. Allow me to join in the ranks of those saying “CAS is my favorite of the Big Three WEIRD TALES writers.” He’s my favorite too–always has been. I return to his fiction again and again for wonder and inspiration, and I always find tons of both. Yep — my favorite too, the Zothique stories in particular. As someone who hasn’t read anything by Smith yet, I still don’t feel like I learned anything new about what’s the whole deal with him and what impact he had on fantasy. This could have been a good opportunity to introduce him to new readers in addition to sharing knowing nods with old fans. Or here’s the opening paragraph from The Abominations of Yondo, which I think was his first story? and which gives a good feel for his style. The sand of the desert of Yondo is not as the sand of other deserts; for Yondo lies nearest of all to the world’s rim; and strange winds, blowing from a pit no astronomer may hope to fathom, have sown its ruinous fields with the gray dust of corroding planets, the black ashes of extinguished suns. The dark, orblike mountains which rise from its wrinkled and pitted plain are not all its own, for some are fallen asteroids half-buried in that abysmal sand. Things have crept in from nether space, whose incursion is forbid by the gods of all proper and well-ordered lands; but there are no such gods in Yondo, where live the hoary genii of stars abolished and decrepit demons left homeless by the destruction of antiquated hells. That’s a fabulous quote, Joe! Though Gary Gygax wasn’t a fan of Klarkash-Ton like Moldvay and I were, Smith nonetheless had a major secondhand influence on RPGs by way of Jack Vance’s Dying Earth stories, which Gary loved. Vance’s lapidary style in the Dying Earth tales is a direct homage to Smith, without being in any way a pastiche. And of course, “Vancian magic” is a core system of OD&D. BTW, Smith is also my favorite the Weird Tales Big Three. I seem to recall reading an interview with Vance, where he was directly asked about the influence of CAS on his style (and subject matter) and Vance denied ever having read Smith. If my memory is correct — and it may well not be — the interview was an early-ish (from the ’60s?). At the time I read it, I found it odd, because I was sure CAS had to be one of Vance’s favorite authors. That Vance was copying Smith is a common misperception and upon examination their similarities are superficial. Smith was a poet influenced by Baudelaire, who was in turn influenced by Poe; Smith was a dark romanticist who put heavy emphasis on rhythm and cadence (you’re right to read him aloud, James — I find myself often doing the same thing). Vance’s Dying Earth, meanwhile, was more influenced by Shakespeare’s comedies (words like “mooncalf” pop up often), particularly in his characterizations. Misfortune in Smith is sardonic tragedy; misfortune in Vance is sardonic comedy. The two men are travelers who took very different roads to end up on opposite banks of the same river. I love Clarke Ashton Smith: I dont really have anything to add to the Jack Vance discussion, but, as for Smiths work; there’s a kind of surreal melancholy, a romance to it that I just adore. I think the fact that his work is, like so you said, so hard to define and put into a box, was one of the reasons he’s one of the least appreciated of the big three; not only because like you said, he couldn’t be marketed as well, but because I feel his merits were a lot harder to pin down and define: no one could follow in the spirit of his work because it’s just so damn distinctive. 1) if you’re just not into that sort of thing, you’re not going to dig Clark Ashton Smith (although how many people not into “that sort of thing” would be here reading this article on Black Gate?). 2) If you are into that sort of thing, holy decrepit demons could this man write it! We’ve most of us read enough imitations of and pale attempts at the style, I’m sure, to know how hard it really is to pull off without sounding self-parodic. Smith was a master at it. Evocatively haunting. Good article, thanks. Although I have not read CAS yet, I’m now curious. I am particularly interested in his writing style and how poetry informed it. CAS was a writer who approached Lord Dunsany in English mastery and storytelling ability. He was a unique individual, impossible to categorize. He lived alone in a cabin and wrote to weird tales, but unlike HPL and probably REH he was quite the ladies man. He was more of a poet than a writer, but his stories were profound. Even Gene Wolfe is amazed by his talent. Posedonis is something I’d eagerly contribute to sooner than later. Its Atlantis but after the main island sank, the high mountain estates and cities of the nobility remain and they carry out increasingly decadent games and political struggle as the isles prepare to fully sink. On the sidelines some seek to escape Atlantis, to preserve their wisdom by spreading it to the outside world. Look up “In the Court of the Crimson King” by King Crimson for the mood. I still hold Lovecraft up as the greatest of these three. BUT, the older I get, the more and more I love CAS. I DO agree that CAS is meant to be read out loud rather than just silently read. Whenever I get the chance, I love to tell people about the following link of Fritz Leiber reading CAS. It is well worth a listen. CAS’ prose are absolutely mesmerizing! Maybe 5-6 years ago Night Shade Books published deluxe hardcover editions of all of Smith’s Fantasy, Science Fiction, and Horror in 5 volumes. They are thorough, complete, in chronological order, and with all kinds of notes and sources. If you can afford the $39.99 for each volume I’d say go for it without hesitation. The editors putting these tomes together did one helluva job. For those interested in purchasing the CAS Night Shade volumes, Amazon has them for just over $29–ten bucks off the original cover price. Last time I checked, most of those volumes were out of print and extremely expensive. Did Night Shade reprint them? You could be right, John, about them being OOP. I only looked for two of them at Amazon and (as I wrote above) they’re now a more reasonable $29 ($10 off) for a new one. Chances are, knowing Amazon, you could get a used one still in great condition for even less. If you’re in the market for, and a lover of, CAS’s work, checking Amazon for these handsome deluxe editions is worth a shot. Just a quick check — it looks like Amazon still has a couple of straggler copies of #4 and #5.